One of the nicest new construction custom contemporary homes ever built in PB. Light filled, luxurious,meticulously detailed & exquisitely finished residence offers 10ft ceilings & 8ft doors, du chateau wood floor throughout,designer color match cabinets/tile &quartz counters,audio/video/security pre wired. Views of Mountain&City.Captivating ocean views from Penthouse Room.Full sized 2 car garageport w/wrought iron accents & storage space. A/C,Solar, 2 blocks to beach, Only 1 Left !!! SchoolsClick map icons below to view information for schools near 846 Opal St San Diego, CA 92109. Home for sale at 846 Opal St San Diego, CA 92109. 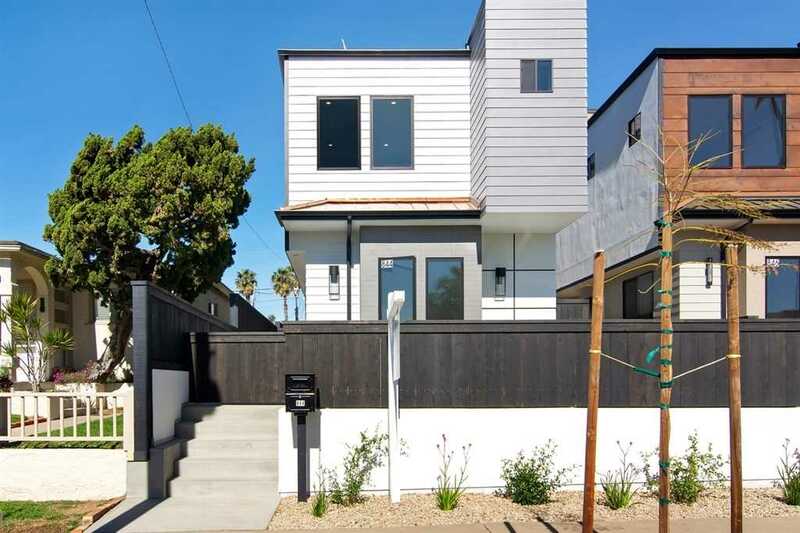 Description: The property at 846 Opal St San Diego, CA 92109 in the Pacific Beach subdivision with the MLS# 190007212 is currently listed for $1,540,000 and has been on the market for 78 days. You are viewing the Sandicor listing details of the home for sale at 846 Opal St San Diego, CA 92109, which features 4 bedrooms and 3 bathrooms, and 2262 sq.ft. of living area.